We are so excited to offer lot 1020 in the February 2 sale. 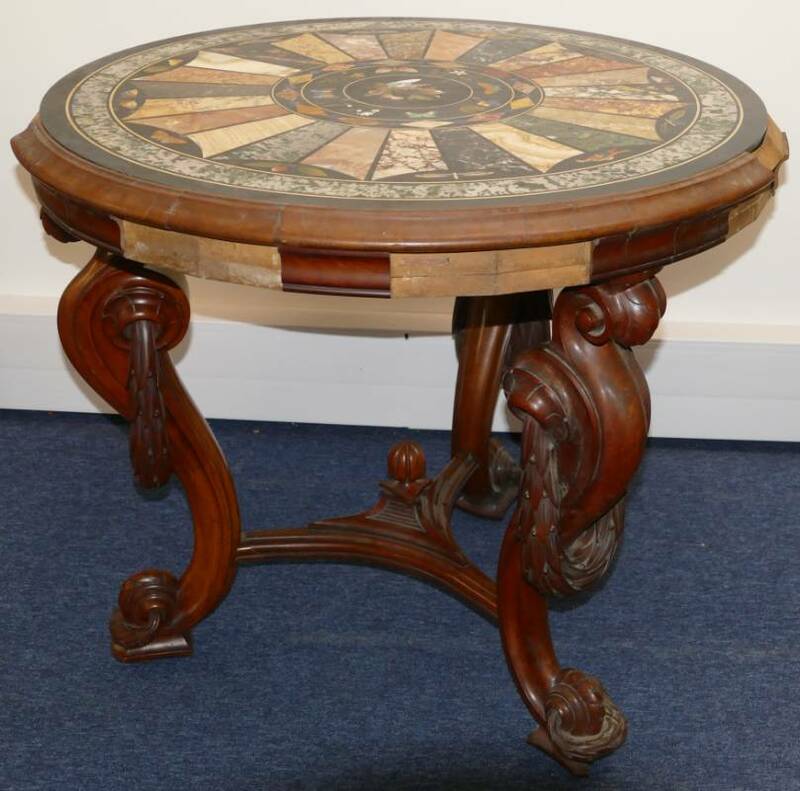 It is a 19th century Florentine specimen marble "Grand Tour" circular table. It is beautiful. The cherry wood base with three cabriole legs is in need of restoration. 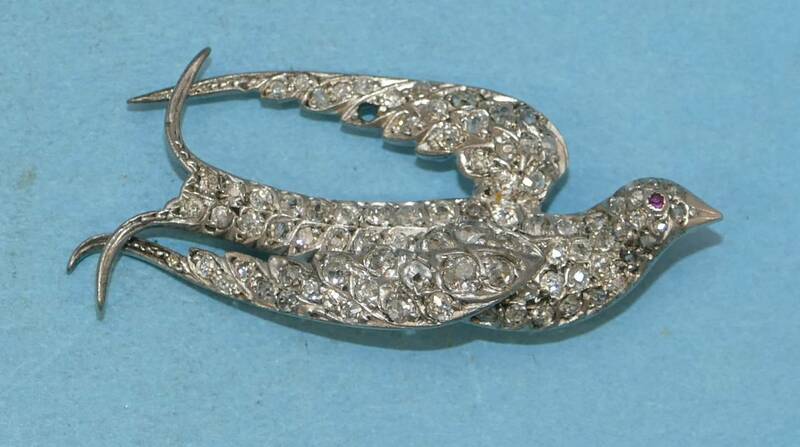 We expect this to sell for between £12000 and £16000. But that is not all! 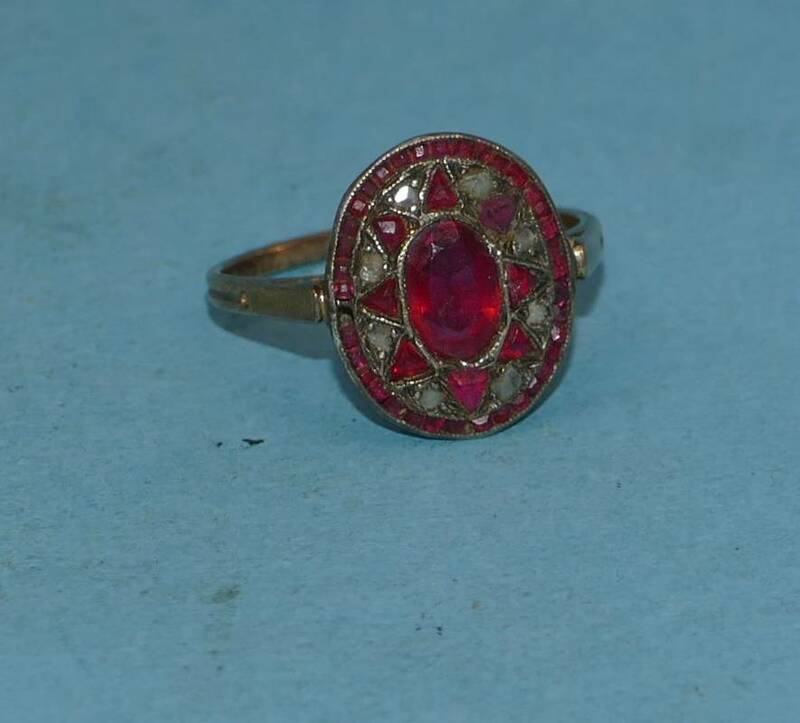 It`s almost Valentine`s Day and we have some jewellery that could make people very happy. 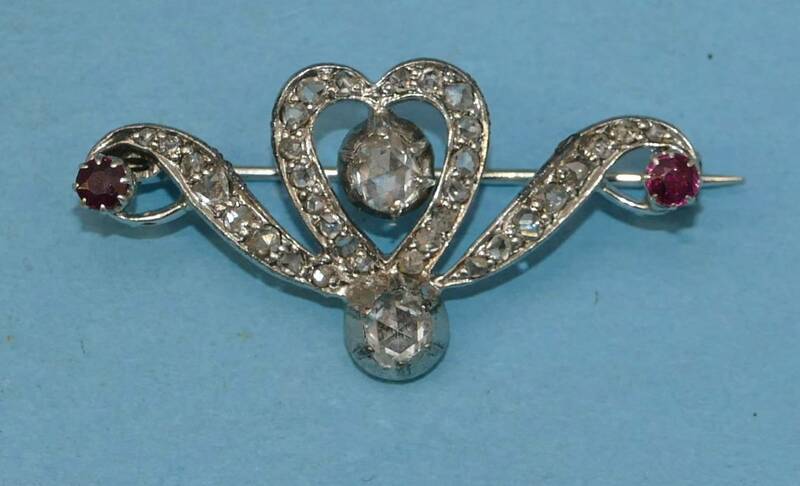 Lots 730 and 731 are diamond and ruby brooches. 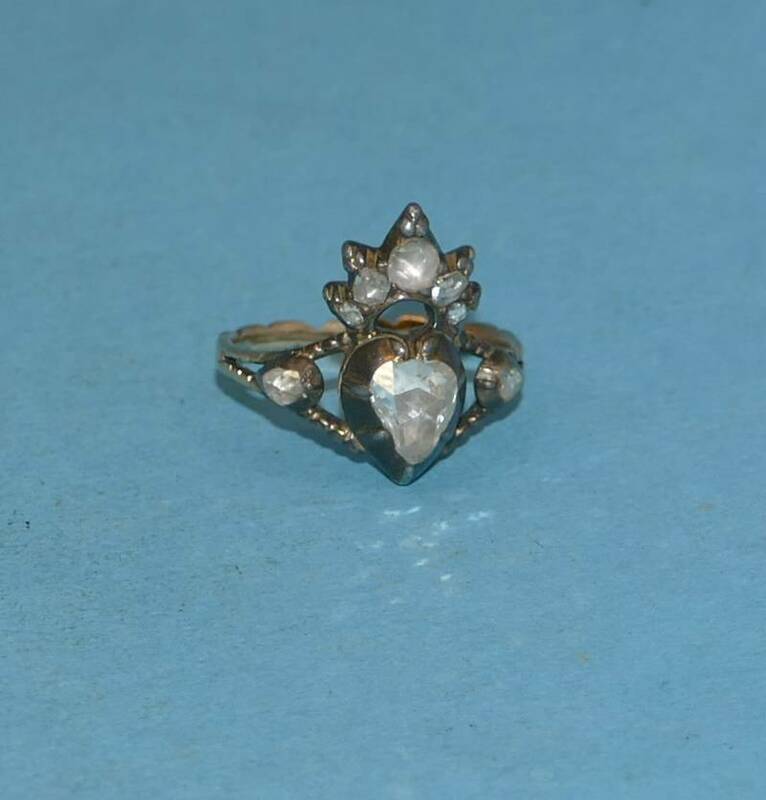 Lots 716 and 720 are antique rings with a lot of character. For circus and music hall enthusiasts we have a number of lots from the Mongador Family. The Mongadors were a French/British circus family who were active from the early 1900s through the 1950s. 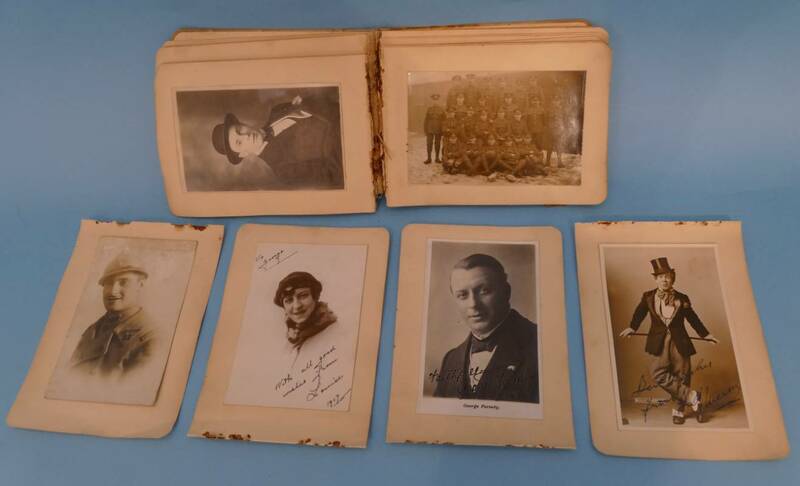 We have some of their juggling clubs, photos of the clubs in use, and autographs of many early 20th century circus and music hall performers including one from George Formby (senior) from 1917. Preview starts at 10am on Wednesday, January 30. And of course, our catalogue is online.